I am not a good blogger, I am just stating this and moving on. I have no shortage of things to blog about...I just can't seem to hit publish. With that said, hopefully I'll be more diligent about hitting publish these next few months (get ready for lots of good food posts to come...I have been cooking up a storm)! With my love of pintrist, I have found a lot of new experiments in the kitchen. 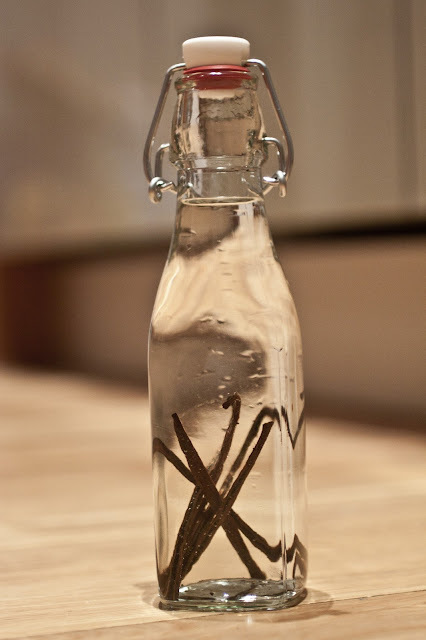 I LOVE baking and once I saw a post about Homemade Vanilla Extract I knew I had to try it. 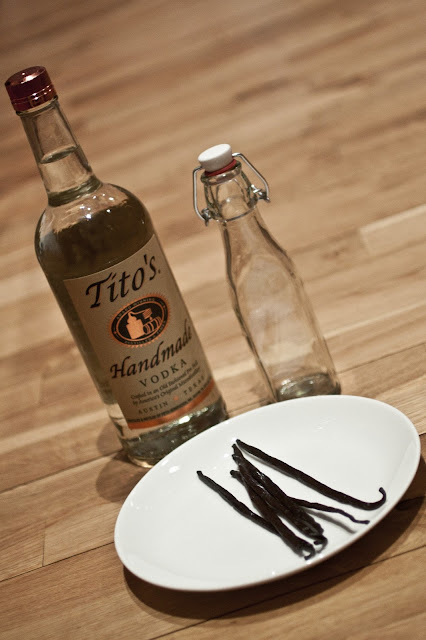 Its so simple; vodka, vanilla bean a gorgeous glass bottle and patience. Today I finally made it to the store to pick up all the ingredients. The good news is that I have 2+ months to design and create a gorgeous label, the bad news is I have to wait 2+ months for this experiment to take shape. How am I ever going to wait 2+ months for this to take shape? I will post updates about the progress, and keep you posted on any tips/tricks I find! I can't wait to start using this instead of store bought vanilla!